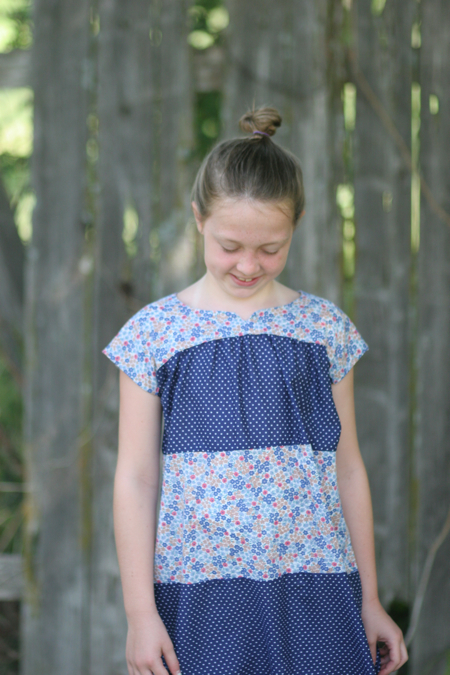 cardigans and kids: sewing for summer. So I purchased this lovely pattern over a year ago, maybe even longer. I do not know exactly why it took me so long to make the dress, since once I decided on the fabric it went fairly quickly. No matter, I think the dress turned out lovely. And so does Alli, who I finally talked into trying it on after hanging in her closet for the last month. I think she was quite surprised with how much she liked it on. The pattern is Oliver + S ice cream dress (size 8) purchased at Magpie Patterns. The fabric is from my Mom-in-law's stash which she graciously shared with me.